aclareix is Clara Guasch and a group of specialized collaborators who work well together. 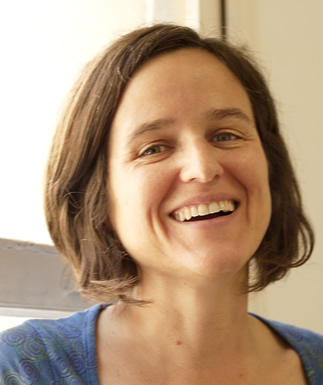 Clara Guasch leads all aclareix projects and coordinates a team of collaborators specialized in different disciplines. We create the best team for each case. Language and management have always played an important role in my professional activity. These are my tools. What I like. I created aclareix to give support to entities and professionals that want to communicate in an honest and efficient way. And to contribute to improving communication between people and organizations. On the Internet, but also in any other context where interaction or communication take place. I coorganize the Content Strategy Barcelona MeetUp, together with Fabrizio Ferri. In 2014 I’ll talk at Congility and Confab Europe, two international conferences on Content Strategy. Starting as a university lecturer, moving onto computational linguistics and then onto business communication, I’ve been working in the field of Content Strategy and writing for the web since 2007. I’ve more than 10 years’ experience in managing people and projects. I’ve studied and worked in Catalonia, the United Kingdom and Germany, and I keep learning through the Internet and from outstanding professionals. I’ve worked for both large and small organizations, whether established or new. I’ve witnessed business growth and downfalls. With a lot of luck and a bit of good criterion, I’ve found great collaborators, both from a professional and personal point of view. This makes my work even more interesting and enjoyable. We also work very closely with web programmers and technology companies. If you think we could work well together, don’t hesitate to contact us.